Imported Kitset Houses from Scandinavia. We are the exclusive importers of high quality timber garden and summer houses from Europe direct to New Zealand. These houses are made of spruce , a slow growing nordic pine from the arctic circle. We have a wide variety readily available to erect by the handyman (or woman) or we can order to your specifications. We also can build for you if you so desire for a small fee. 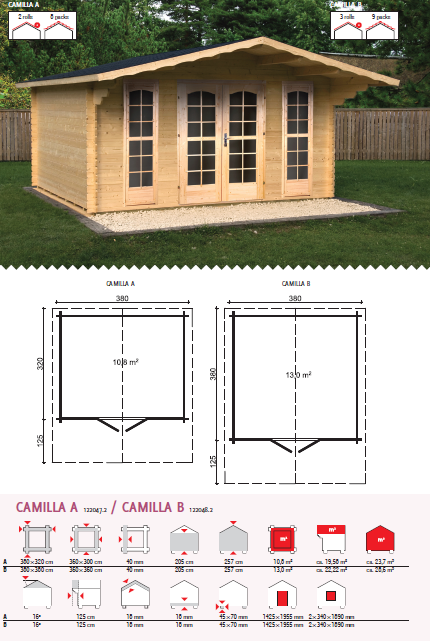 Have a look at the chalets available by clicking here or on our products page. For any further questions or special requirements please do not hesitate to ring us directly on 0800 54 94 24 or use the contact us page to drop us a line. For the nearest show home location click here.